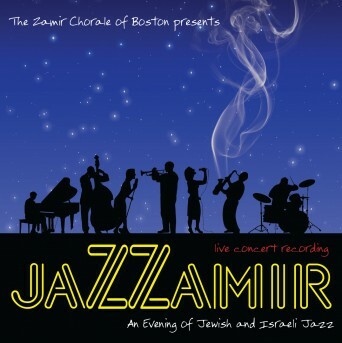 Here is the lighter side of the Zamir Chorale of Boston. Maestro Joshua Jacobson and the Chorale have put together a celebration of jazz from America and Israel. You will hear Gershwin’s classics, including Summertime and I Got Rhythm, Jewish-American popular songs such as Ba Mir Bistu Sheyn and Yiddisha Charleston, choruses from Dave Brubeck’s monumental Gates of Justice, Charles Davidson’s jazzy Adon Olam , Moshe Wilensky’s ode to the charms of South America, Venezuela, and even an Israeli version of Java Jive.